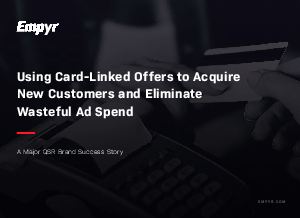 A major QSR brand wanted to increase business in a highly competitive category by acquiring new customers and eliminating wasteful spend on advertising in the process. Of equal importance was their desire to increase frequency and ticket size with their light lapsed guests. Download this case study to learn more!